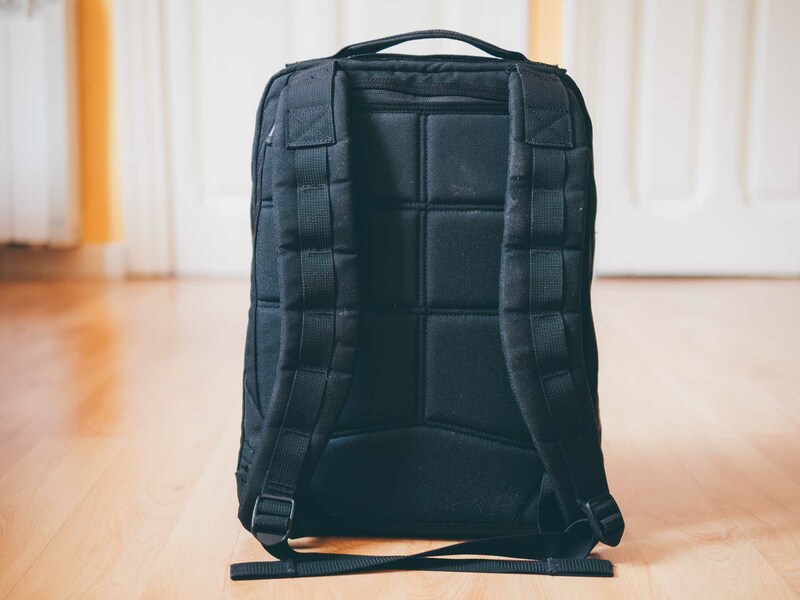 The GR Echo is the smallest of GORUCK’s Original Rucks. While the GR2 is perfect for multi-day adventures and the GR0/GR1 are all about versatility, the Echo is arguably the most specialized bag of them all. It’s the best daypack you can carry. 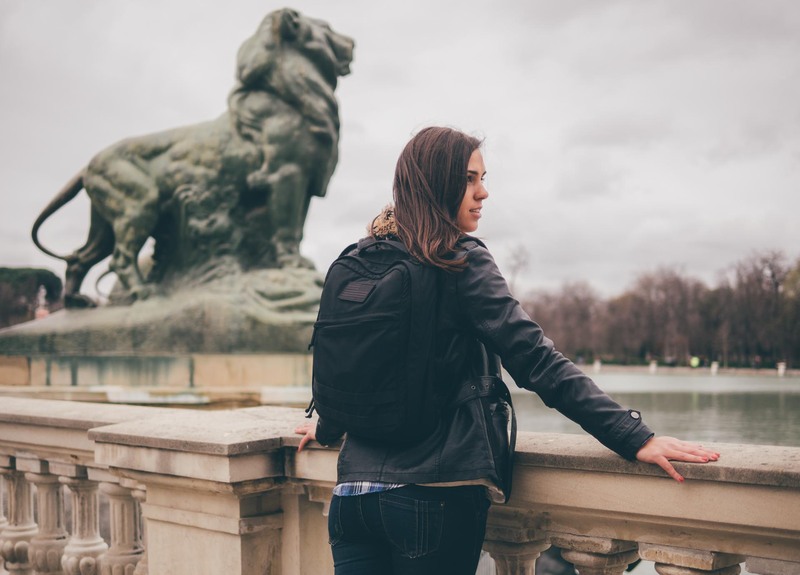 Size is one of the most important factors when purchasing a backpack. 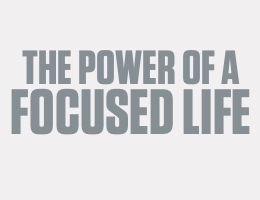 Pick one too small and its usefulness becomes limited. Conversely, pick one too big and you’re less likely to use it every day. 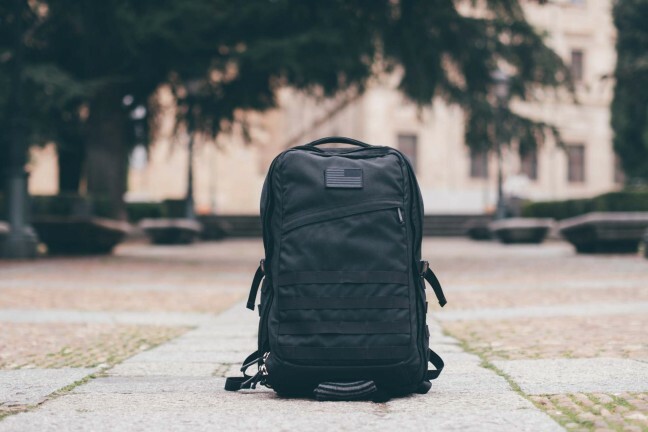 To GORUCK’s credit, they’ve always been keenly aware of this, and they started off their backpack lineup with a bag that’s perfectly sized for almost everything: the GR1. But although the GR1 set a new benchmark for ruggedness and versatility, there’s no such thing as “one size fits all” in the backpack world. And while the GR1 is eminently usable for every day tasks and even short getaway trips, there are situations where having a smaller or bigger backpack can certainly come in handy. That’s why GORUCK eventually expanded their lineup to include the GR2, which is the perfect bag for multi-day travel, the GR0, which is a slightly smaller but otherwise identical version of the GR1, and the GR Echo, which is designed to be a no-compromises daypack. 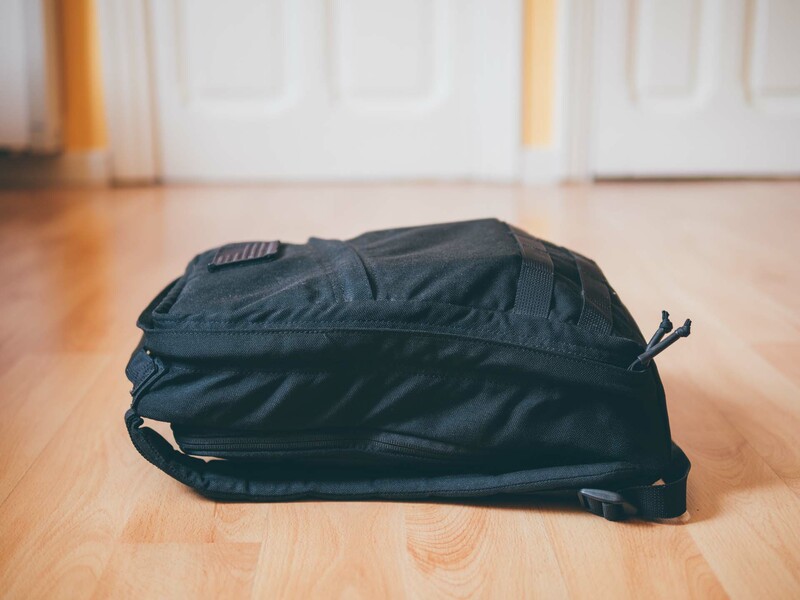 All of these bags share many of the household features that GORUCK fans love. The GORUCK GR Echo is very comfortable to wear while training. 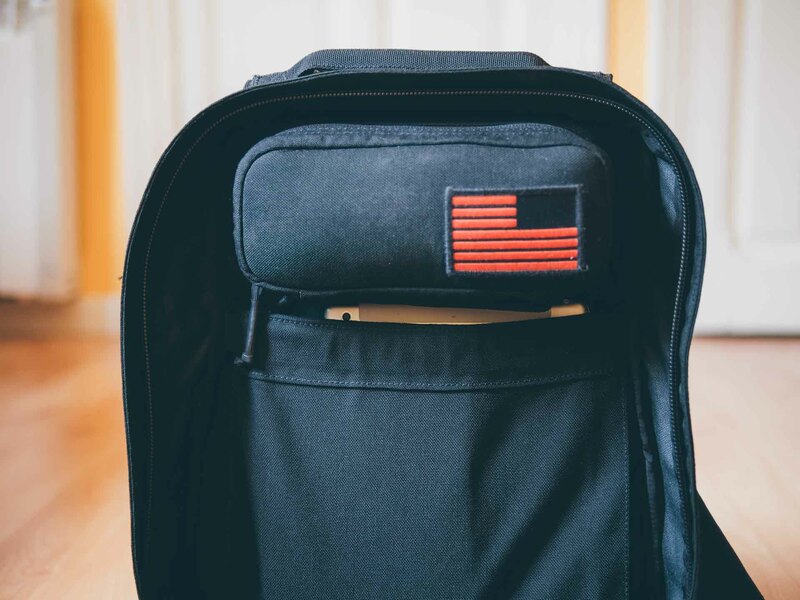 Much like Apple emphasizes display size as a differentiating factor in its devices, GORUCK uses size and volume to provide the same differentiation across their rucksacks. As the smallest of GORUCK’s Original Rucks, the Echo offers just the right amount of space to accommodate your essential gear. 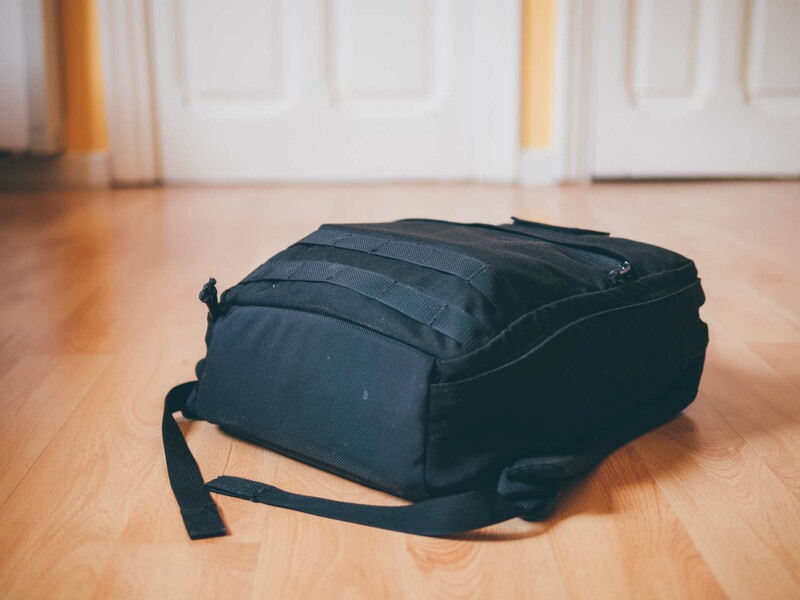 This is not a bag for the hoarder, and it will force you to streamline your kit and carry only the items you’ll actually need. 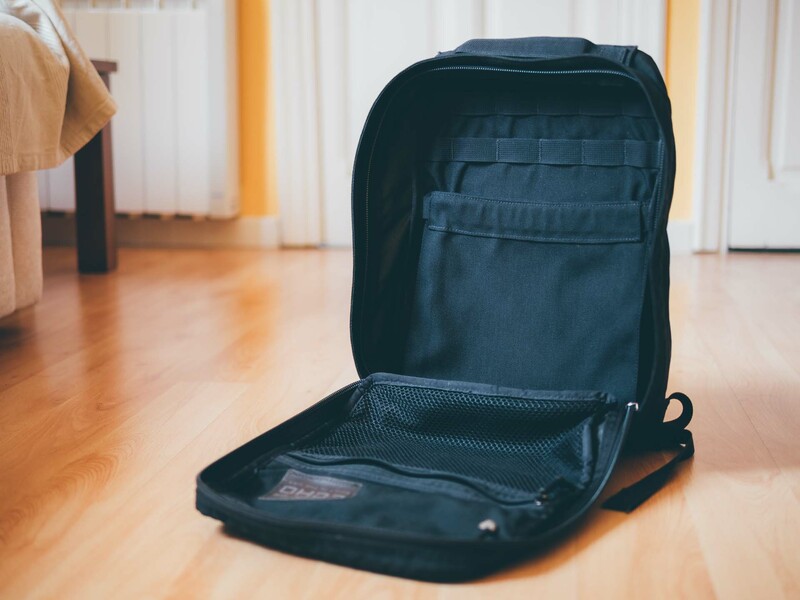 If you have a tendency to accumulate gear, this bag will definitely help you become more organized. The Echo is just the right size to hold your essential gear. It’s also a bag that’s better suited for people with shorter, slimmer builds than the GR1 and the GR2. And while the GR1 includes a plastic frame sheet inside the back panel to ensure structural rigidity, the smaller Echo doesn’t, making it easier on your back and more comfortable to use while training, for example. Furthermore, the Echo thrives in an urban environment. Its understated looks and slim profile make it easy to dart through crowded areas like subways, shopping malls and the like, while providing the assurance that your belongings are always safe. Not needing to worry about your gear means you can just get on with your day. However, don’t let its discreet appearance fool you into thinking this is an ordinary bag. 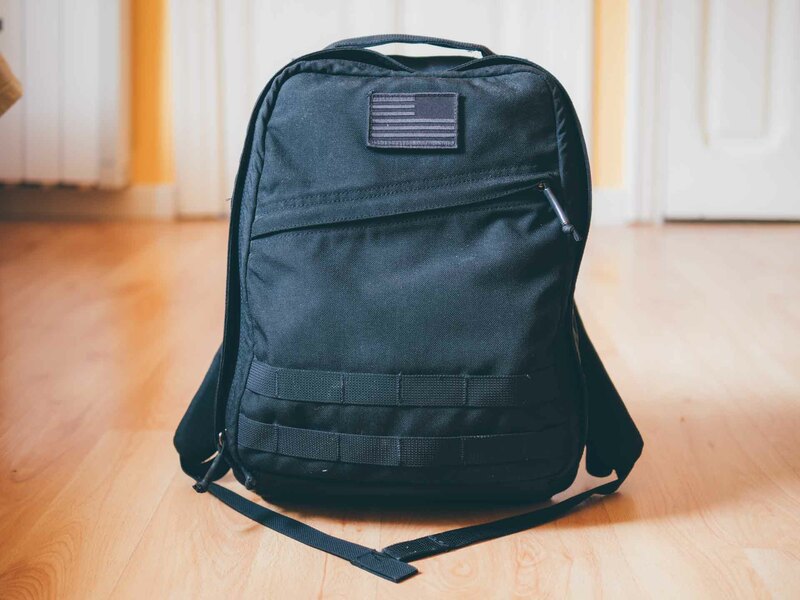 The Echo shares much of its DNA with the rest of the GORUCK packs and like them, this bag can take whatever you throw at it, and then some. The Echo offers plenty of features in a streamlined package. 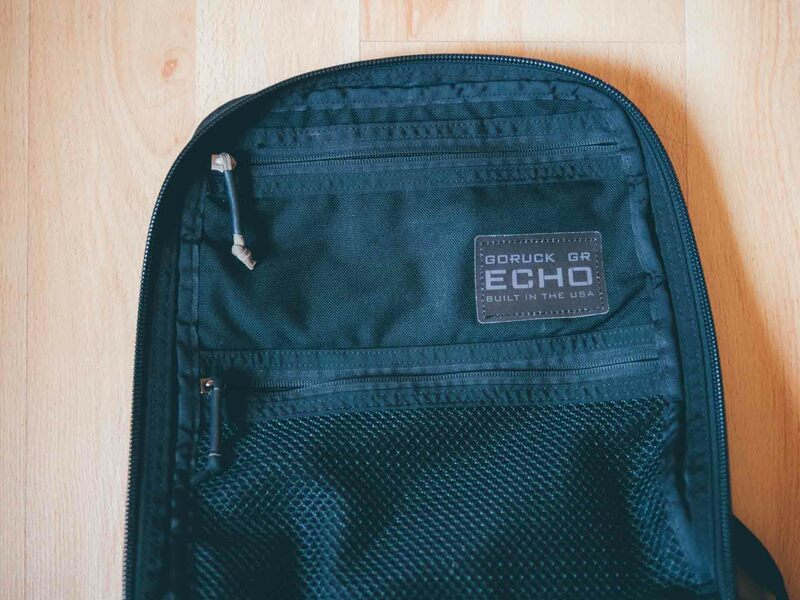 Like all GORUCK products, the Echo is made entirely out of military-grade materials. The bulk of it is 1000D Cordura, a highly abrasion resistant material that also provides excellent protection against water. 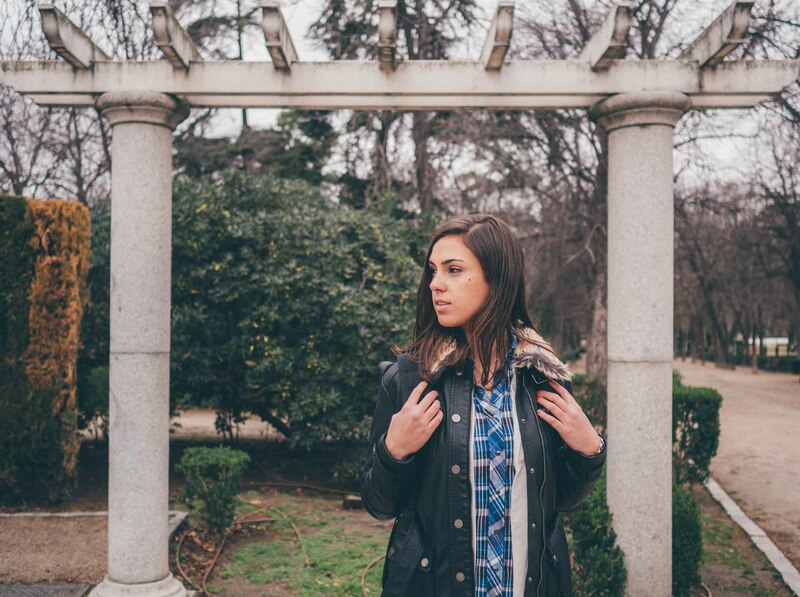 As such, the Echo is highly water resistant — although not technically waterproof — and will protect all your items from even the most severe weather conditions with ease. Appearances can be deceiving: The GR Echo is one tough little backpack. These tough materials make the Echo a perfect backpack for the daily grind, but they also make it slightly heavier than some other ultralight backpacks out there — although in a bag this size, we’re talking about mere ounces. Besides, with the Echo you’re getting a whole pile of benefits from that small increase in weight but that being said, if you’re a gram counter, you may want to keep this in mind. 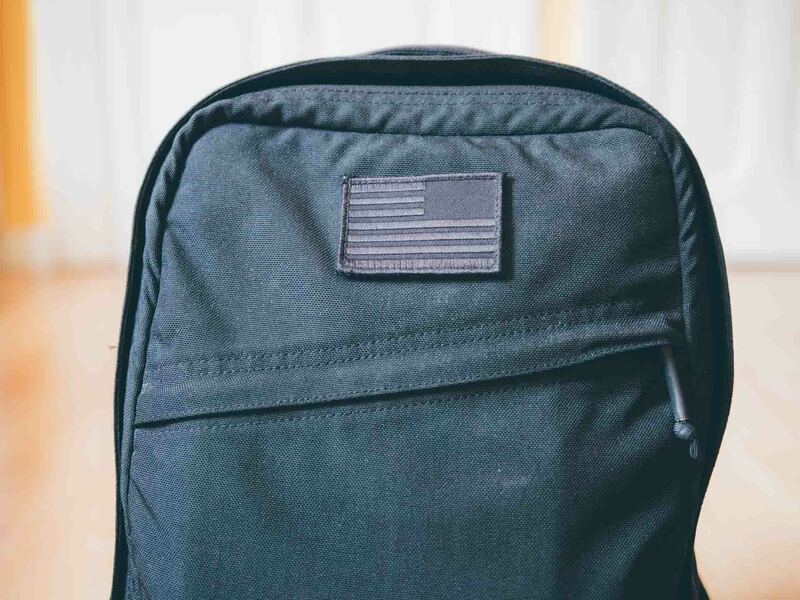 The front side features GORUCK’s signature 3″x2″ velcro-friendly spot, designed to attach a patch of your choice. This provides a small amount of customization to the bag’s exterior appearance. 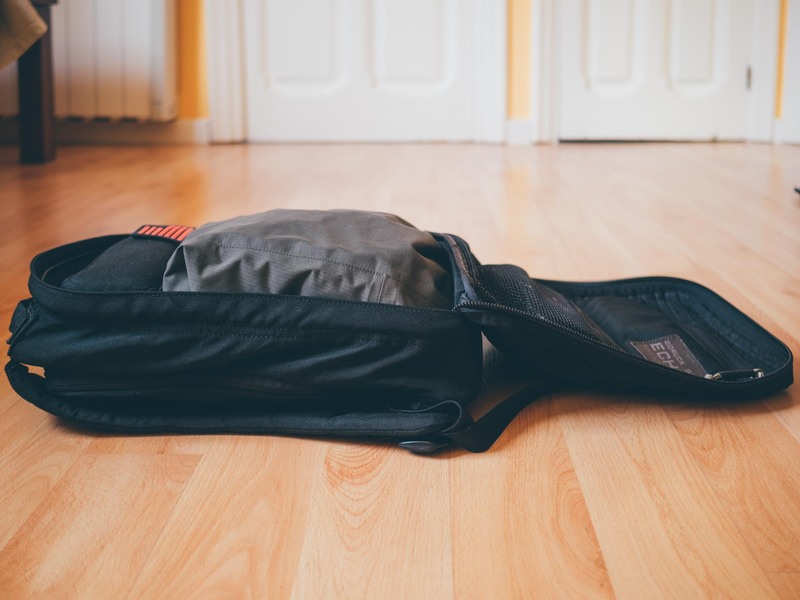 There’s also a slant pocket that gives you instant access to some low profile items like a Kindle reading device, but this pocket becomes severely cramped when the bag is full, and sometimes it can be a bit difficult to retrieve your items. The front features a slanted pocket and a velcro-friendly spot to attach patches. 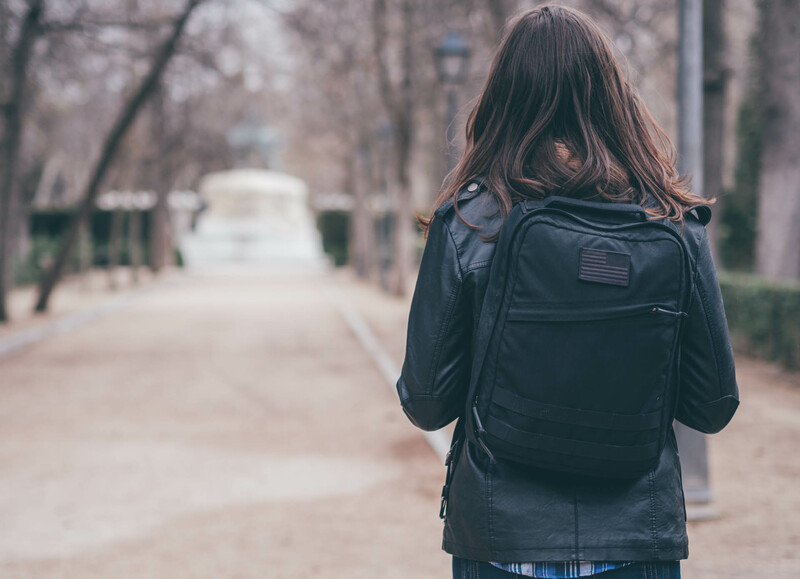 The shoulder straps are arguably the single most important feature in a backpack, and the Echo’s straps are fantastic. They are heavily padded, but slimmer than those found on the GR1 or the GR2. Even so, they still provide just the right amount of cushioning and are super comfortable to use. They have a strand of MOLLE webbing running down their entire length, allowing you to attach small accessories like a sternum strap, or the hose of your hydration bladder. The shoulder straps are slim and heavily padded, with MOLLE webbing for extra customization. 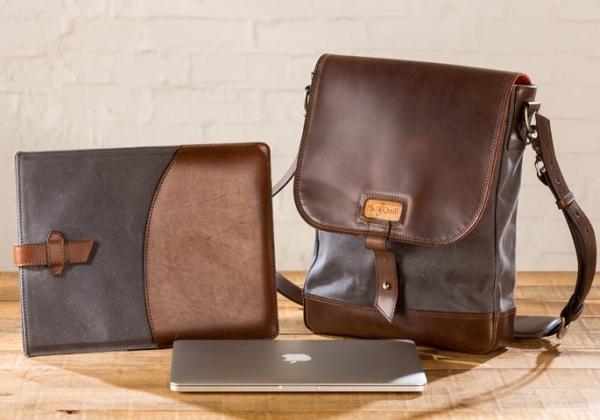 The bag also includes a reinforced laptop compartment that can hold up to a 13″ laptop, although in practice thickness becomes a big factor here. A 13″ MacBook Air, for example, will fit perfectly, as will a 13″ Retina MacBook Pro. However, fitting a 13″ non-Retina MacBook Pro, while doable, will make the entire bag become very stiff and a bit uncomfortable to carry on your back, especially if the main compartment is also fully loaded. The shoulder straps can be moved aside to access the laptop compartment. 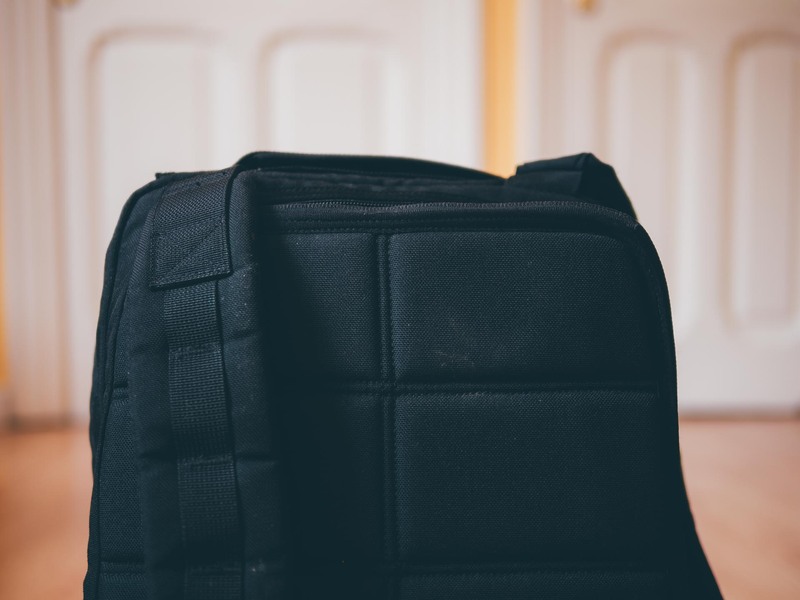 The way you access the laptop compartment is just like on any other GORUCK backpack: via a heavy-duty zipper than runs along the back panel. The easiest way to do it is usually to fold one of the shoulder straps to the side, leaving the laptop compartment exposed. This compartment can alternatively house a hydration bladder, and there’s an opening on the top that allows you to thread the hose through it. 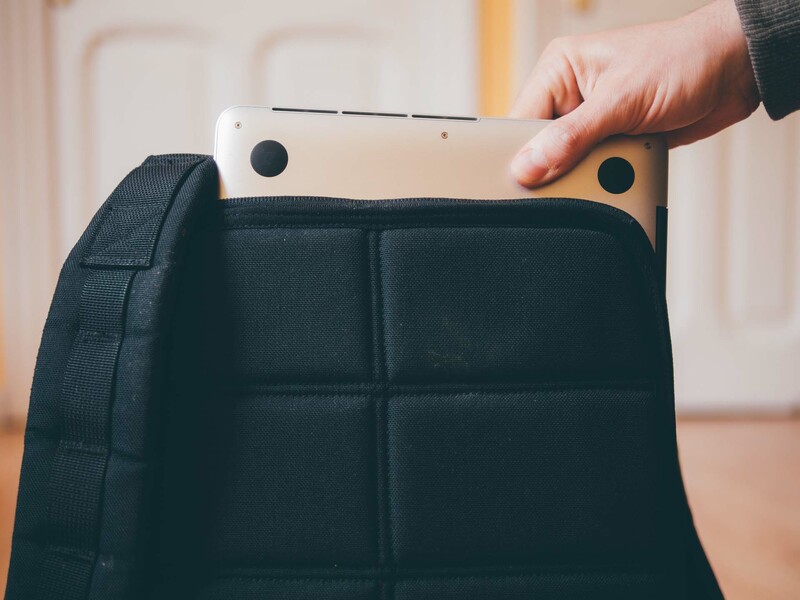 The laptop compartment is super tough, and will hold up to a 13″ laptop. There’s also a handle at the top that allows you to easily pick up the bag and maneuver it without any issues whatsoever. Unlike the handle in the GR2, this one is considerably more functional due to the lighter weight and smaller size of the Echo. Like all major stress points in the bag, the handle is reinforced by heavy cross-stitching, tested to withstand over 400 pounds of force. The top handle is reinforced to withstand more than 400 pounds of force. Directly below the slanted pocket, the Echo features two rows of MOLLE webbing that allow you to attach small pouches and accessories like GORUCK’s own Field Pockets, providing some extra customization options. Unlike the GR1 and the GR2 though, the Echo doesn’t feature any MOLLE webbing on its sides. Finally, the bottom of the bag is made our of Ballistic Cordura, which provides increased abrasion resistance. The bottom is made out of Ballistic Cordura, which provides increased abrasion resistance. You wouldn’t guess it to look at it, but the Echo can actually hold quite a bit more than its slim profile suggests. One of its most useful features in day to day use is that it opens completely flat, making it easy to organize your items and retrieve them without making a mess. The original Echo didn’t have this feature, but it was added in the first major redesign. This is a great example of GORUCK’s commitment to quality and refinement in all of their products. Like all GORUCK bags, the Echo opens completely flat for easy packing. The interior of the Echo is relatively straightforward, particularly compared to its bigger siblings. There’s only one main compartment, featuring two rows of MOLLE webbing at the top — as opposed to three rows in the GR1 and four in the GR2. 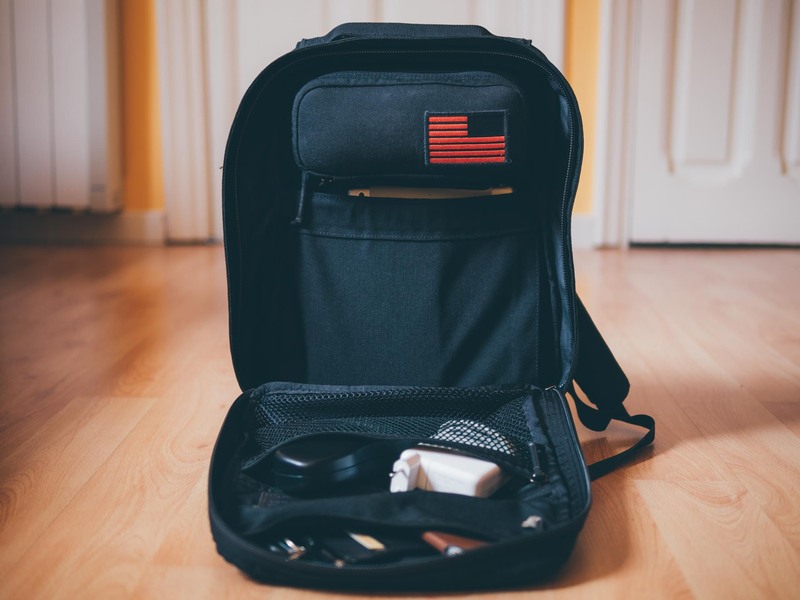 These are designed specifically to be used with the GORUCK Echo Field Pocket, which provides a convenient and secure way to store fragile items, like camera lenses, energy bars, etc. The main compartment has MOLLE webbing near the top. Since the Field Pocket stays put near the top of the bag, its contents are always reachable without opening the entire bag, making it ideal as a camera bag. It’s just the right size to hold a small mirrorless camera body and one or two small lenses. The Echo Field Pocket was designed to be used with this bag. Inside the main compartment there’s also a bigger pocket with an elastic band cover, designed to keep a few heavier items stay close to the wearer’s back. 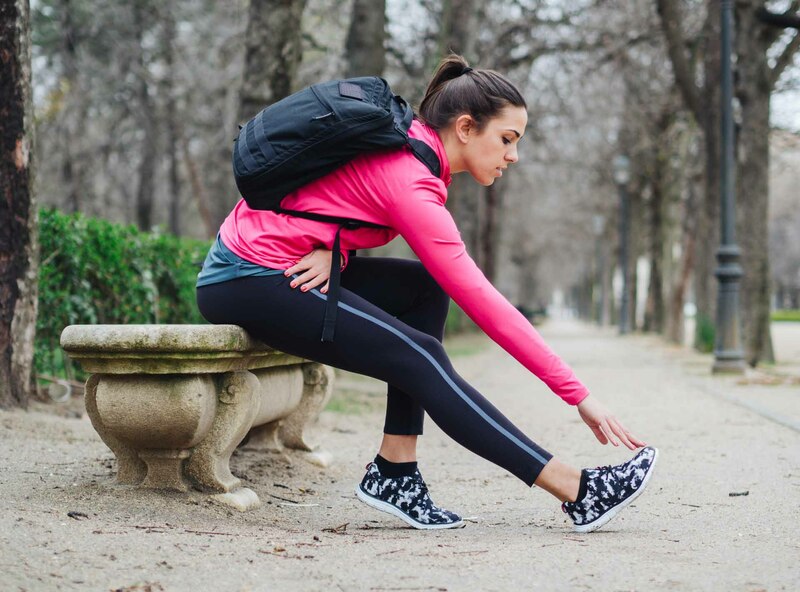 This improves comfort and stability, allowing the backpack to stay put and not swing from side to side when the wearer is running, for example. This pocket is the perfect place to store magazines, notebooks, an iPad, etc. The elastic pocket can hold an iPad, a notebook and a couple magazines. 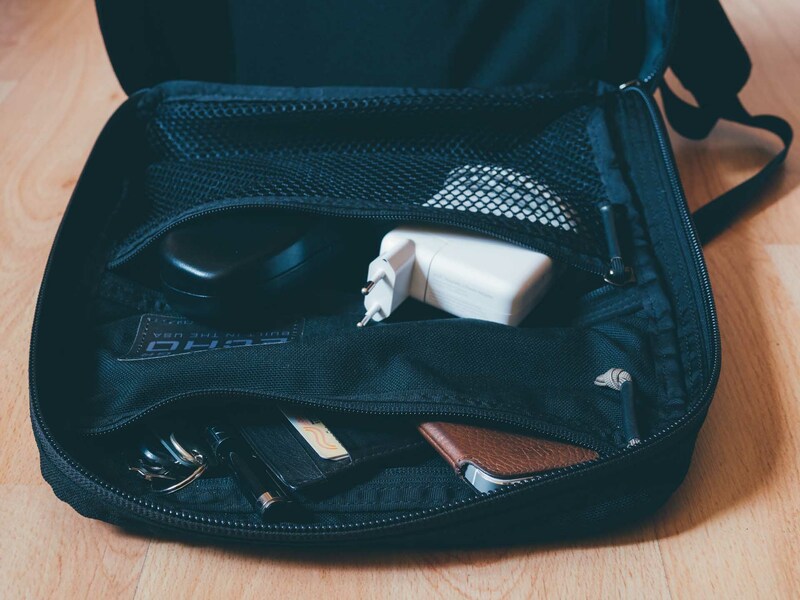 The flap cover of the main compartment features a mesh pocket that is ideal to segregate and store a few small items like chargers, cables, hard drives, etc. Additionally, there’s also a full Cordura pocket branded with a GR Echo label. This is the only branding you’ll see in the entire bag, a feature that contributes greatly to its discrete looks. The Cordura pocket is not too generous in size, but is big enough to hold important items such as keys, wallet, phone, and the like. The flap cover features a mesh pocket and a full Cordura pocket. Both pockets can be used to segregate important items from the rest. All in all, the GR Echo offers just the right amount of space and organizational features to be an excellent daypack, but perhaps the key thing about it is that it gives you the possibility to adapt it to your particular needs. Even with all the pockets full, you can still fit in a rain jacket or a few more items in the main compartment. A bag cannot be everything to everyone, and the Echo doesn’t try to be. Actually, GORUCK’s design philosophy is based on that very principle: their bags are as generic as possible, and they don’t try force any particular usage pattern upon their wearer. For example, the Echo doesn’t feature any dedicated pen holders or notebook-sized sleeves, and it doesn’t have a built-in keyring loop or anything like that. Instead, the MOLLE webbing leaves it up to you to add those features should you choose to. It’s a curious approach, in an industry where manufacturers often pride themselves on creating organizational behemoths and gargantuan backpacks. The Echo is not an opinionated bag which, oddly, makes it perfect for opinionated users. It looks small, but you can fit quite a lot inside this bag. Whether you use the Echo for your daily commute, as a camera bag or as a training aid, you can trust it with your belongings without giving it a second thought. 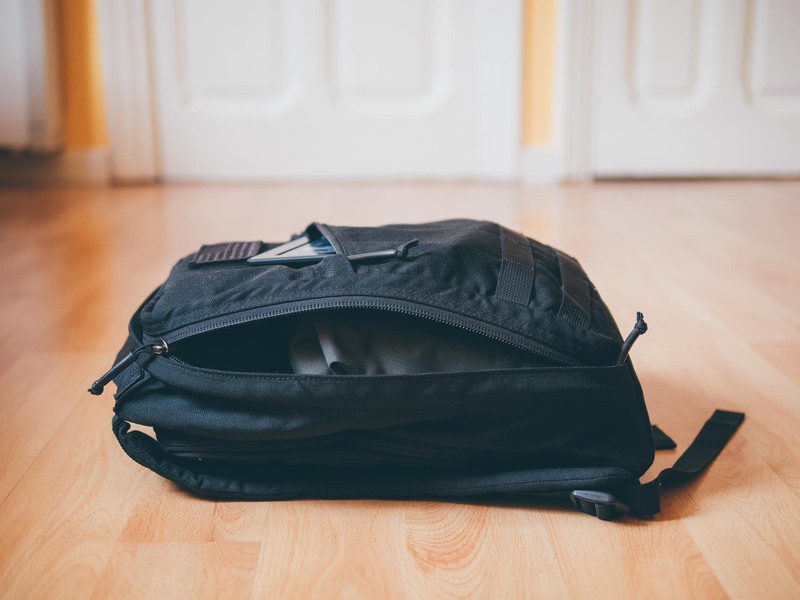 Being able to completely trust your bag is an amazingly liberating feeling, and it makes it a lot easier to focus on whatever task you’re trying to do. GORUCK gear doesn’t come cheap, since it’s made by hand in the USA using only highly skilled American workers, but this is where the investment pays off. The GR Echo is a really good training aid. While it may not be a dedicated camera bag, the Echo is perfectly capable of doing a more than adequate job of it if the situation requires it. 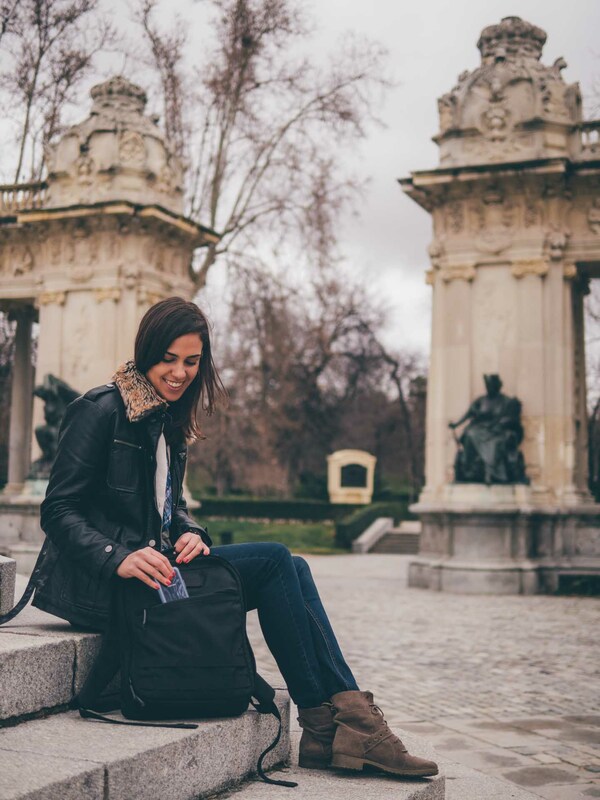 Using protective pouches and the Echo Field Pocket, this bag offers enough space to carry a DSLR-sized body, a couple of lenses and even a compact travel tripod, along with some filters and cleaning tools. Alternatively, you can easily fit a smaller mirrorless camera and up to four lenses, or a couple camera bodies and a 2-3 lenses. While it may not offer everything a professional photographer needs, it’s definitely more than enough for enthusiasts and beginners. If you’re ready to go, so is the Echo. The GR Echo was conceived from the beginning as an action pack, and includes a series of dedicated features that make it ideally suited as a training aid. With the hydration bladder compartment and the MOLLE webbing, it provides the perfect solution for hiking excursions and weight-laden running sessions, for instance. And by pulling the shoulder straps tight, you can ensure a greater weight distribution across the shoulders and upper back, therefore making it a lot more stable on your back and reducing the risk of strain and injury. With the straps pulled tight, the weight balances better against the wearer’s back. 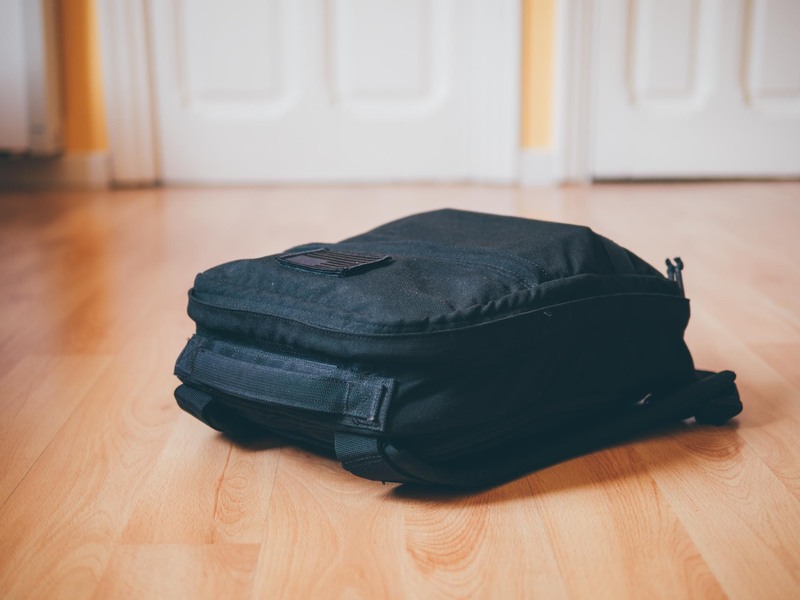 And if you plan on using it as a daily commuter bag, you’ll be pleased to know the Echo can carry a laptop, an iPad, a couple notebooks and several other small electronic devices, not to mention magazines, pens and whatever else you need to take with you. Besides, its discreet appearance means you’ll always blend right in, whether you’re in a formal meeting with a client or down in the cafeteria with your coworkers during Casual Friday. With the front pocket, essential items are always within reach. Whatever your needs, leave it up to the GR Echo to exceed your expectations. It really is an excellent all-around performer, and you’ll never need to give it a second thought. Just grab it, and off you go. Simple. The bottom of the bag is slanted, which makes it impossible for it to stand vertically upright when placed on the ground. This is a frequent source of frustration, because every time you put the bag down to grab something, it tumbles over. Your only way to deal with this is to lean it on your leg, a chair or a nearby wall — not exactly an ideal solution. Though we’ve already mentioned it, the front slant pocket is not very useful in practice, especially when the bag is full. This design feature is very similar to the bigger GR1 and GR2, but on a smaller pack like the Echo it doesn’t work nearly as well. The laptop compartment is great and provides excellent protection against impacts, but the bag becomes awkwardly stiff and a bit uncomfortable when a relatively thick laptop is stored in there. Unfortunately there’s no way around this one, but keep it in mind in case you don’t own an ultra-portable laptop. Anything the size of a Retina MacBook Pro or slimmer and you’ll be perfectly fine, though. 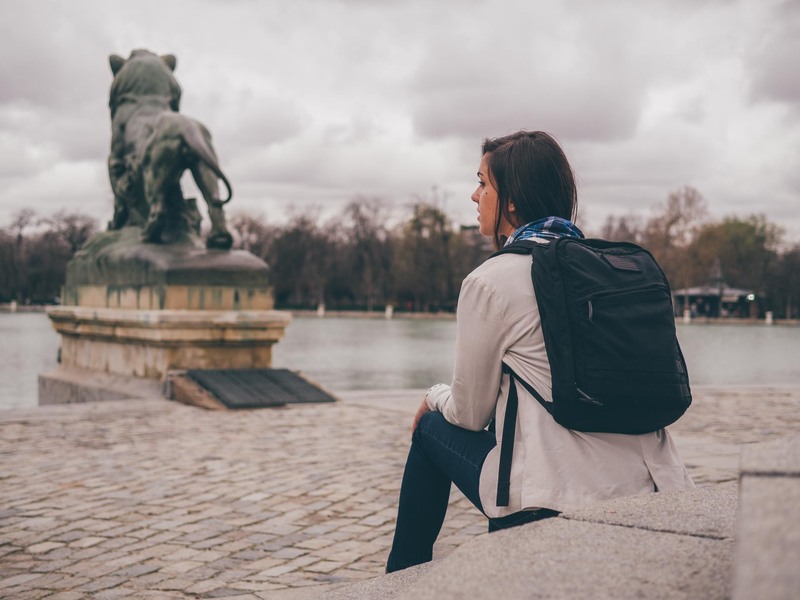 The smaller backpack market is incredibly crowded, with plenty of excellent offering from many different manufacturers. That said, there’s perhaps no other bag out there than can match the Echo’s versatility, especially when you include fitness among your frequent usage patterns. Features like the hydration compartment and its amazing stability make it very hard to beat, and you’d be hard pressed to find another bag that can do everything the Echo does and looks as good while doing it. If you’re not athletically inclined though, there are other bags out there that can be just as great for you. And at this size, it’s important to note that the Echo is not only competing with typical backpacks, but with most medium-sized messenger bags as well. The Tom Bihn Synapse 19, which we’ve told you about before, is one of our favorite backpacks. It’s very similar in price and features to the Echo, and looks just as good, too. If you don’t need the dedicated fitness features, it really is a matter of personal preference between these two. 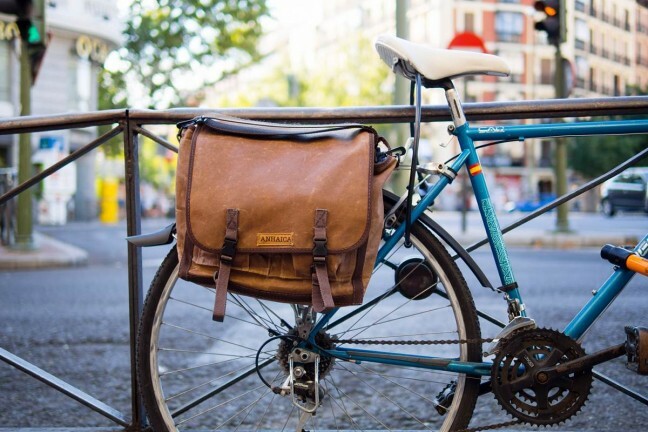 If you prefer a messenger bag, we like the Booq Mamba Courier. This stylish bag is also a great choice and at $125, it’s a bit cheaper, to boot. And if what you’re after is an awesome camera bag, the Ona Bowery is easily one of the best-looking camera bags out there. If you need to go a bit bigger, we also like the Ona Prince Street, and the Billingham Hadley Pro, which are both fantastic. The GR Echo is one of the most remarkable daypacks out there. 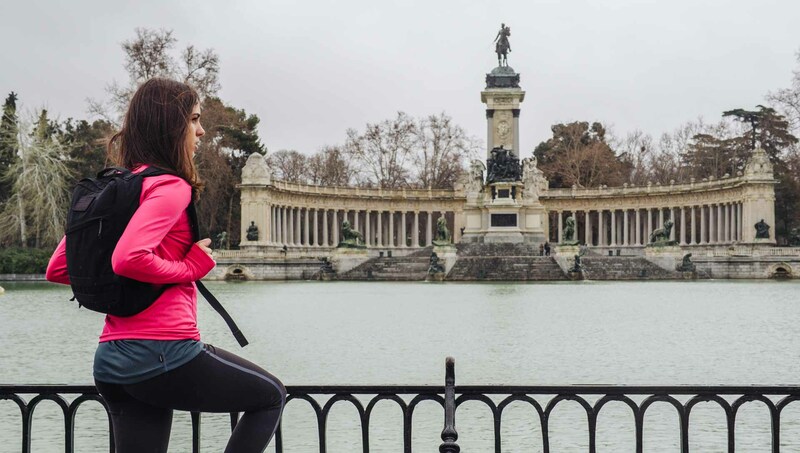 It really can do almost everything, from the daily commute to the 10K run and if you’re into packing light, it can even make for a great weekend bag. With its discreet appearance and no-nonsense design you’ll never look out of place, and its super-resistant materials and top-notch build quality mean you can just go about your business without having a second thought about your gear. That winning combination of form and function is shared by all of the GORUCK bags, which is why they’re some of the best bags money can buy. If you’re in need of a rugged daypack or just want a quality bag that will last you a lifetime, you really can’t go wrong with the GR Echo.